Routine immunizations are essential for the control and prevention of previously common childhood infectious diseases. During 2008, more than 76% of U.S. children age 19 to 35 months received 4 or more doses of diphtheria, tetanus toxoids, and pertussis vaccines (DTP/DT/DTaP); 3 or more doses of poliovirus vaccine; 1 or more doses of any measles-containing vaccine; at least 3 doses of Haemophilus influenzae type b (Hib) vaccine; at least 3 doses of hepatitis B vaccine; and at least 1 dose of varicella vaccine (CDC, 2009). However, there is still considerable disparity in immunization rates among states and communities. Young children might not be immunized at the recommended age because of missed opportunities to vaccinate, deficient health care delivery in the public sector, lack of insurance, inadequate access to medical care, lack of public awareness about the necessity for immunizations, or concern about potential or alleged adverse effects of immunizations. Both AAFP and AAP endorse the Childhood and Adolescent Immunization Schedules (see eTables 23-3 to 23-5 online) (SOR: A). Parents or guardians should be questioned about possible contraindications, precautions, and any previous adverse events in response to vaccine administration (see eTable 23-6). They should be informed about the potential benefits and risks of the vaccine and the risks of the natural disease should the immunization not be given. 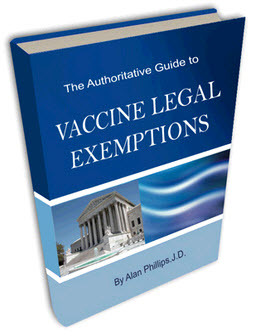 Health care providers administering any vaccine covered by the National Vaccine Compensation Injury Act or purchased by federal contract must provide the most current vaccine information statements (VISs) detailing the potential benefits and risks of each vaccine to the parents or guardians each time that vaccine is given (AAP Red Book, 2009, 5-6). Copies of VISs may be obtained from the CDC (www.cdc.gov/vaccines/p ubs/VIS/default.htm), the Immunization Action Coalition (www.immunize.org), or state health departments. Before administering vaccines, the physician should ask about the child's current state of health, as well as that of other family members. An immunosuppressed member of the household might contraindicate the administration of certain live-virus vaccines, such as nasal live, attenuated influenza vaccine (LAIV). Minor febrile illnesses are not contraindications to vaccine administration. General contraindications are a previous anaphylactic reaction to the specific vaccine or a severe hypersensitivity reaction to vaccine constituents such as gelatin or antibiotics such as neomycin, streptomycin, or polymyxin B. Latex allergy may also be a contraindication if the vaccines are supplied in vials or syringes containing natural rubber (AAP Red Book, 2009, 848-853).